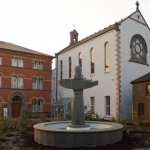 The Edmund Rice International Heritage Centre in Waterford, Ireland, is the resting place of Edmund Rice, founder of the Christian and Presentation Brothers. It is also the site of an impressive visitor centre, thriving community centre and beautiful chapel. Admission is free, and all are welcome. As well as being a visitor attraction and place of pilgrimage, the Edmund Rice Centre is also the heart and soul of the local community. One of the main ministries is the Information & Integration Unit which helps refugees, asylum seekers and other immigrants to integrate into the local community. 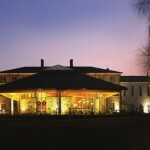 The centre is also used as a meeting point and recreational base by local businesses and community organisations. The Edmund Rice Chapel, with its distinctive circular shape, sits dramatically on the hill of Mount Sion. Inside is the tomb of Blessed Edmund Rice with his name in Ogham, the ancient Irish alphabet. Visitors are welcome to pray and reflect. 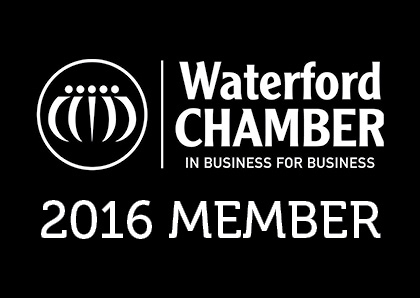 They can also just sit and admire the wonderful panoramic views of Waterford city below. 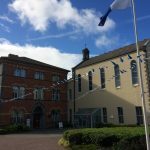 The Edmund Rice Heritage Centre tells the story of Edmund Rice, the Ireland in which he lived and the growth of his congregations throughout the world. It has many captivating features, including a multimedia tour of 18th century Waterford, complete with the sights, sounds, and even smells, of the city streets and dwellings.